Why would you wait for a new year to change everything! My Choupi Chouz enables you to change heels everywhere at any time ! A change which is not drastic but feels so good! We all woke up in 2019 wanting to change everything, with our good resolutions in mind. Hopefully, you don’t have to repaint your kitchen or dye your hair in pink to satisfy your desire of change. That is why My Choupi Chouz is here for!. Indeed, sometimes it happens, we want to get off the beaten track. A new year is a great excuse to find motivation ! But we never know where to start. Change our lipstick colour, not effective…change our boyfriend too drastic!. AND WHY NOT CHANGE YOUR HEELS ? 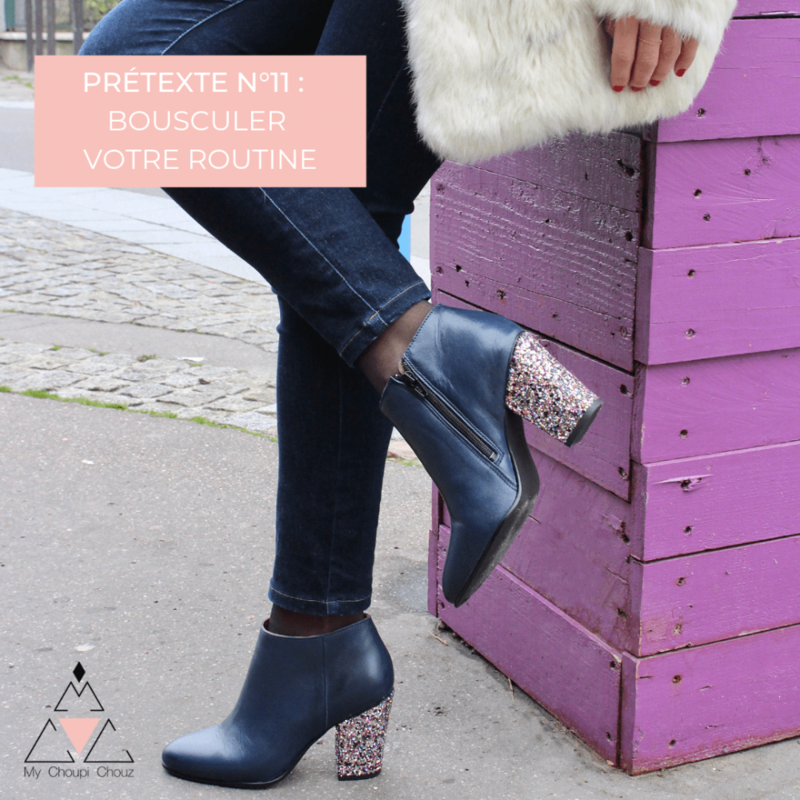 My Choupi Chouz are shoes with interchangeable heels which enable you to change the shape, the height, the color and the pattern of your heels..
You want to start the year ultra-busy and to run around? The 4.5cm Rue heels will save your life!. You’d rather prolong New Year's Eve and party every weekend, choose black, silver, gold or multicolor glitter heels in 8cm to dance all night!. Whether you’re in Amazonia or in the urban jungle, the leopard and snake heels will wildly accessorize your outfit!. With its many possibilities, My Choupi Chouz gives you what you need to satisfy your desire for change, in one click! What about you? What are your resolutions? And which heels are you going to wear to honor them?